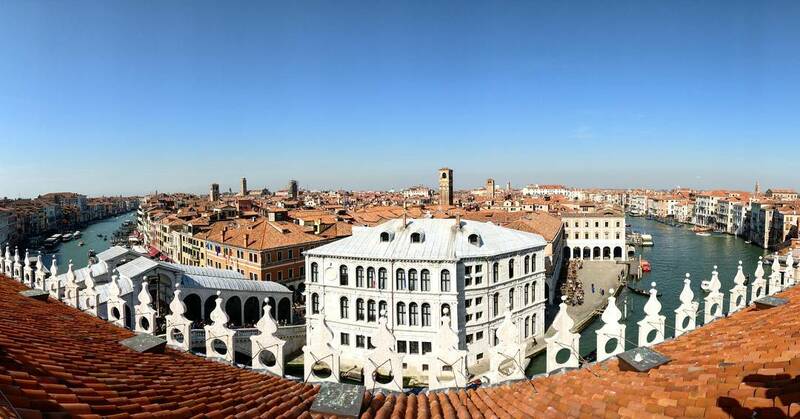 Next to the Rialto Bridge you have the possibility to take a wonderful panorama shot of Venice – for free. Just head to the 4th floor of the new department store in the former Fondaco dei Tedeschi “Fondaco T”. You can either book it right away on the 4th floor with one of the tablets (once out of the elevator right handside, but attention the visit is not guaranteed for walk-ins due to the high request) or online on the website of the Fondaco dei Tedeschi by following this link.